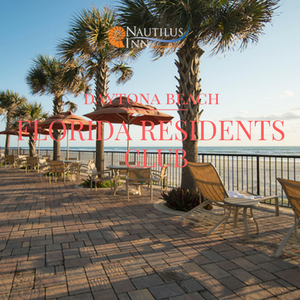 Location is everything when choosing your Easter Weekend vacation in Daytona Beach! Located within a short distance of the area's most popular attractions and Easter Sunday services and brunch locations - choose between our four various types of rooms available, all with private balconies and ocean views! Plus, our beachfront hotel will impress your whole family and our rates include a daily complimentary deluxe breakfast to help you start the day! One of the most memoriable sunrise services is hosted by Our Lady of Lourdes' Easter at the Beach service at the Daytona Beach Bandshell (250 N. Atlantic Ave) behind the Ocean Walk Shoppes. Services are at 7:30AM on the beach and 9AM at the bandshell. There are numberous other services in the area, so finding the one that is right for you is easy to do! Whether it’s brunch, a buffet or early dinner, local Easter observers will have a range of dining-out choices Sunday. Check with your local favorites for their plans and schedule for the day. Afterwards, your entire family will have a blast at Daytona Beach's biggest attractions such as the famous Daytona Beach Boardwalk and Ocean Walk Shoppes! 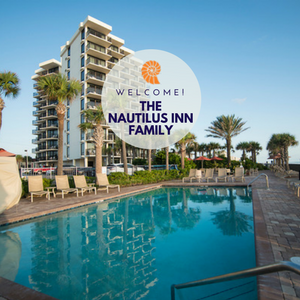 Both located just down the street from Nautilus Inn - families will love staying within very close range of the area's best family-friendly destinations! Ocean Walk Shoppes features a variety of fun shops, restaurants and a movie theater - perfect for a family beach break! Don't miss the iconic Daytona Beach Boardwalk - your family will love spending the afternoon riding the Ferris wheel, playing classic arcade games and exploring the boardwalk!